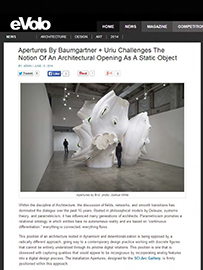 B+U is pleased to be featured in Archinect: Small Studio Snapshot Series. 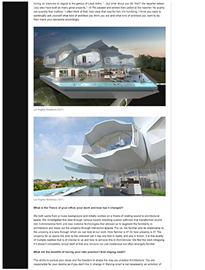 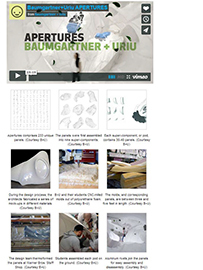 "Baumgartner + Uriu (BplusU) are innovators known for pushing boundaries. 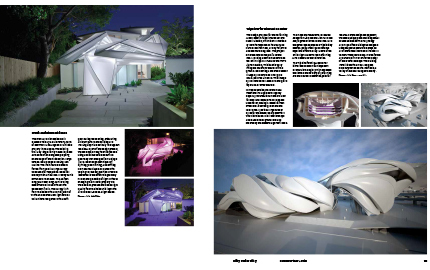 With an in-house fabrication studio, the LA-based practice is consistently experimenting with the latest digital techniques and materials. 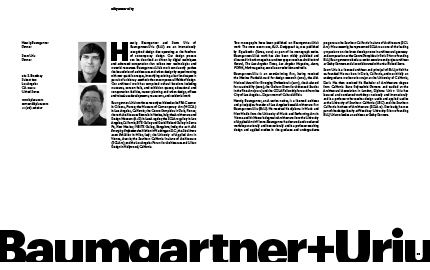 Founded in 2006, the firm is led by Herwig Baumgartner and Scott Uriu, both with a background in music and working for Frank Gehry. 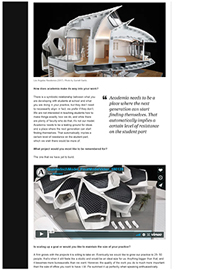 For this week's Small Studio Snapshot, we talked with the duo about how they got their start, what drives their work today, and what is on the horizon." 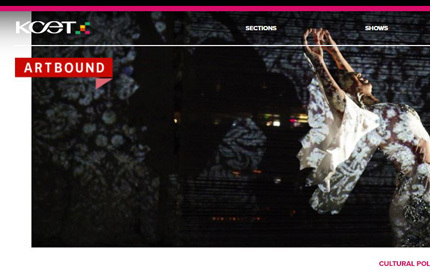 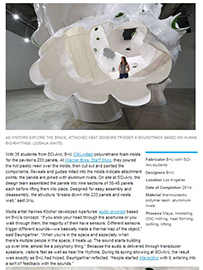 B+U is featured in Artbound: Cultural Journalism, KCET's award-winning art and cultural media series. 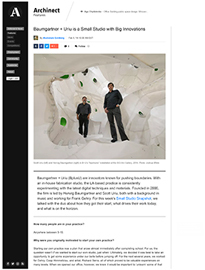 Arts and culture editor, Carren Jao, introduces B+U as one of the five COLA fellows "who’ve created works that push the envelope of the city’s art scene". 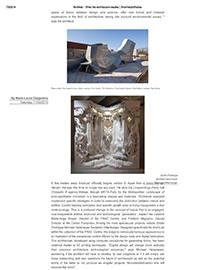 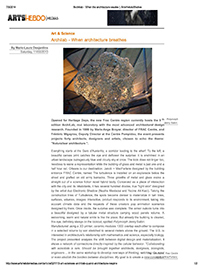 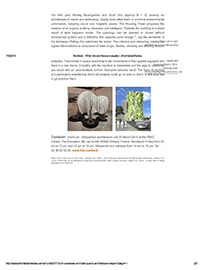 "Apertures- Responsive Architectural Environments", a text written by B+U featuring the Apertures installation, is published in the Texas Society of Architect's Emerging Design + Technology Conference Proceedings. 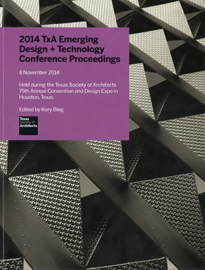 The conference was held during the Texas Society of Architects 75th Annual Convention and Design Exo in 2014. 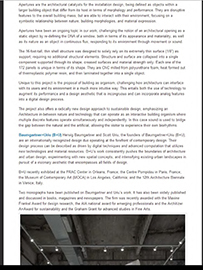 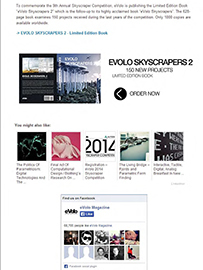 The publication is a collection of academic papers primarily focused on research related to the expansion or development of technological capabilities in the architectural field. 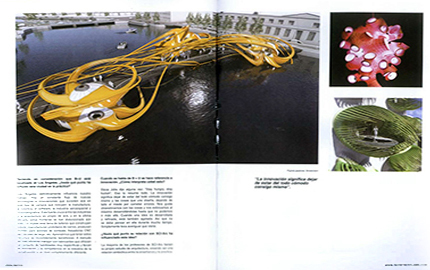 Hope of A New Design, is a new book by Aracene publication which includes Baumgartner+Uriu’s Amsterdam Bridge. 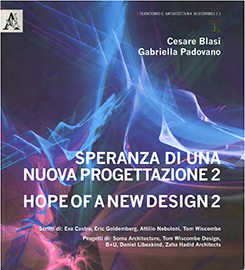 The book is a collection from “CSP – Complexity and Sustainability in the Project” magazine who central goal is to foster advanced research and intellectual conception of a new vision. 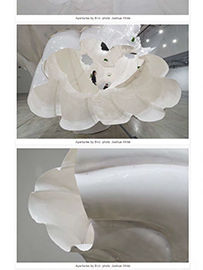 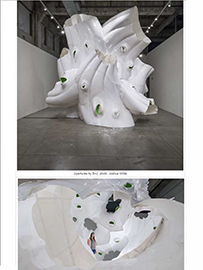 Apertures is a 16’ tall architectural object made for the SCI-Arc gallery and challenges the idea of static windows, with unusual creases and shapes that highlight architecture’s relationship with nature.. 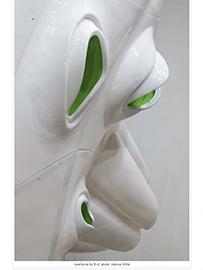 The object is made out of heat formed plastic. 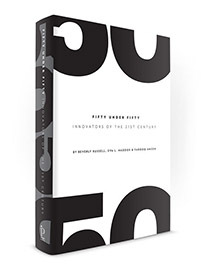 The architects, designers, artists and others represented in Fifty Under Fifty are innovators of our time. 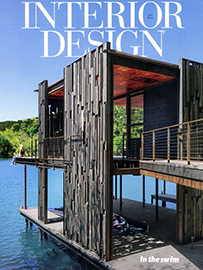 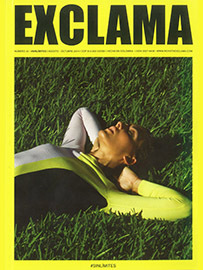 After a world-wide search of 50 top architecture and design firms by the editors, lead author Beverly Russell along with Eva Maddox and Farooq Ameen help bring together a unique body of work; all partners in these firms will be 50 years old or under at the time of publication, and represent a forward-thinking generation of creative people, aware of global issues that urgently need solutions through imaginative design. 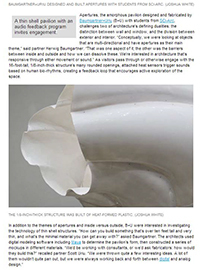 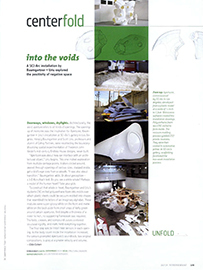 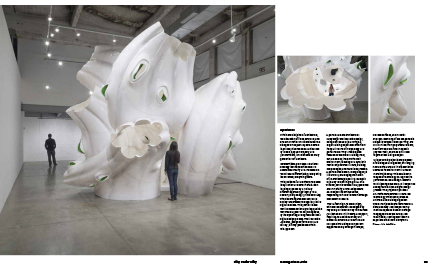 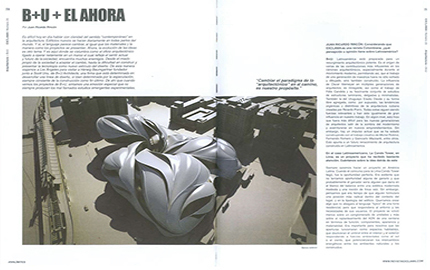 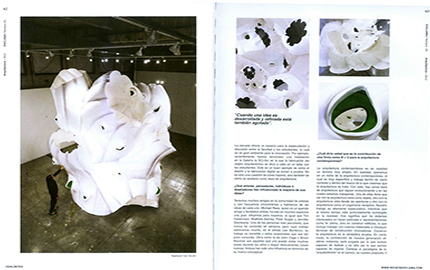 This centerfold article for Design Magazine written by Edie Cohen features B+U's installation Apertures at the SCI-Arc Gallery. 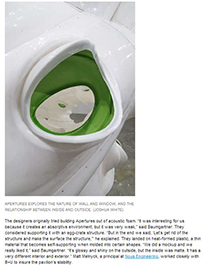 Article by Bergren Miller reviews Baumgartner+Uriu's recent installation with the title "Apertures" at the SCI-Arc gallery in Los Angeles. 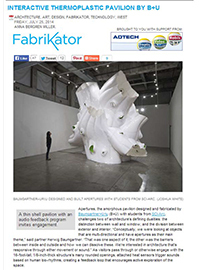 The FRAC center hosts the 9th edition of ArchiLab, featuring some of the most advanced architectural designs and design research to date. 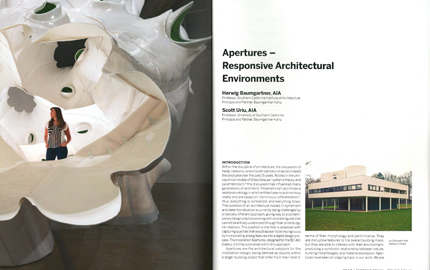 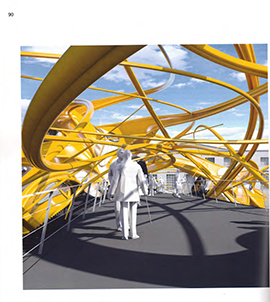 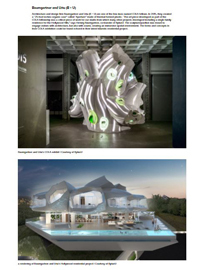 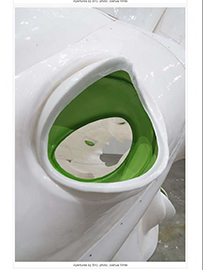 The article discusses Baumgartner + Uriu's recent exhibition at the SCI-Arc gallery. 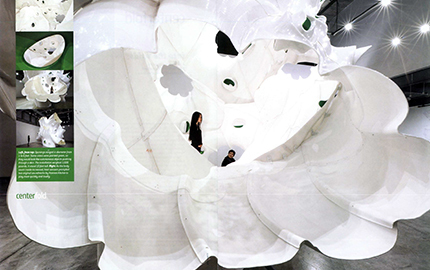 The exhibition challenges the notion of an architectural opening.